I owe this interview to Armando Añel, who conceived it as a photograph, like a portrait drawn from the words that I say. It’s like returning to the times of the African Griots [West African historians, storytellers, singers, poets and/or musicians], when only the actions and words of those who spoke from the heart flowed from them. NEO CLUB PRESS: The definition is, in itself, a portrait of the person doing the defining. In its primordial essence, it reveals the personality of the one who issues it with an almost photographic fidelity. So in this new series of interviews that we propose to our readers, we will try to define our interviewees — all of them creators or animators of culture living in Miami, the city that grows, diversifies, with ever more bifurcations culturally speaking — through their definitions. On this occasion Luis Felipe Rojas, writer, blogger and dissident Cuban newcomer to Miami, kindly responds. NCP. Define for me please, what Miami is for you. LFR. Is the yard where my kids play freely. It’s where I read poetry in public and walk without looking over my shoulder for the shadows that haunted me just two months ago. Miami is the Universal Bookstore where I no longer have to look at a copy of the paper from a distance, without touching it, touching the books and magazines. Miami is a sidewalk cafe, standing, and seeing Cuba walk by going to work every day. I may sound a bit nostalgic or rose-colored, but my life, as you may have noticed, is closely linked to these sensations. LFR. What, that predestined for me? Where the gods guided me or where I was putting it together piece by piece, blow by blow, behind every kiss, every handshake? I couldn’t sum up life in a long career but rather in segments broken up by hate and love, by bravery and fear of getting up everyday and doing something for me and mine. I am a peasant anchored in two or three hobbies that make up my routine: looking, listening and hoping; I think hoping has been one of my most effective resources, because I believe there is a third will that we always have something prepared. LFR. Pfffff! I do not believe in that concept, I believe in the alignments of the times, in which everything is subject to a blow at the precipice. From an unknown place ’someone’ pushed a book of Borges and we discover ourselves. ’Something’ made a being like Tarantino slink between that happening you spoke of earlier. In this universal chaos, these stones of history will always surprise you. Anyone who works thinking about transcendence is fried … literally. LFR. A diabolical tool to get into the lives of others. To make things bad for their own sake. NCP. That which never says no. LFR. A friendship, whatever its source. Many will claim this is to be gullible, I assume that weight. Love, substantial or childish, I like to love and that has taken me more than once to the pillory, but I don’t have any remedy but to accept that I am bound to love and to my friends. LFR. When I wrote my first newspaper articles under my own name. When I got arrested by the police the first time in my house. When I said No publicly and others were saying Yes hanging their heads. When my daughter Brenda was born and everyone said contradictorily that she was cute… And she looked it to me, ha ha ha! LFR. To believe I could change the world putting together a literary magazine in the early years of my youth. Surrendering myself completely to a woman who crumpled up my work and threw it in the sea and crossed the ocean. LFR. Sulti, the first. Marshmallow, who accompanied my sleepless nights waiting for the worst to come and he was still there, faithful. NCP. A cultural jinetero [hustler]. LFR. A mediocre person who can’t be creative or a promoter of anything, an abject being who neither does nor stops doing. LFR. 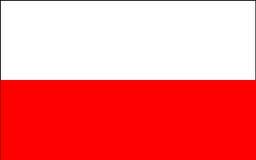 The year of the rabbit, not in the Chinese calendar, but by the pole jump that got me and my family from a remote village on the maps of God, like St. Germain, to this crazy Miami and space for everyone. Late last night I learned of the death of Arnaldo Mesa, a former boxer from Holguín province who shone back in the 1980s. The digital Diario de Cuba (Cuba Daily) carried the report and it hit me in the face like a rock. 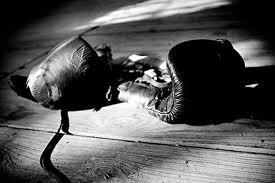 Along with Ángel Espinosa, Manuel Martinez and Ricardo Diaz they formed a fearsome foursome in places where the Cuban amateur boxing showed off their best. Mesa was technical, aggressive and quick, and he had the punch that everybody avoided. In an edition of the former World Cup, the three (with Espinosa and Martinez) won gold medals for the country and received in exchange for an apartment or the fixing of their homes, nothing more. That and the lack of discipline, the disincentives and precariousness of life in the provinces led to misery. Years later two others emerged: Mario (Mayito) Kindelan, who dazzled the world with speed and Gerardo Doroncelé, who shone with a lesser brightness in the national pre-selection. Espinosa could be seen until recently in any “kennel” (beer-on-tap stands) fighting to quench his thirst and frustration. 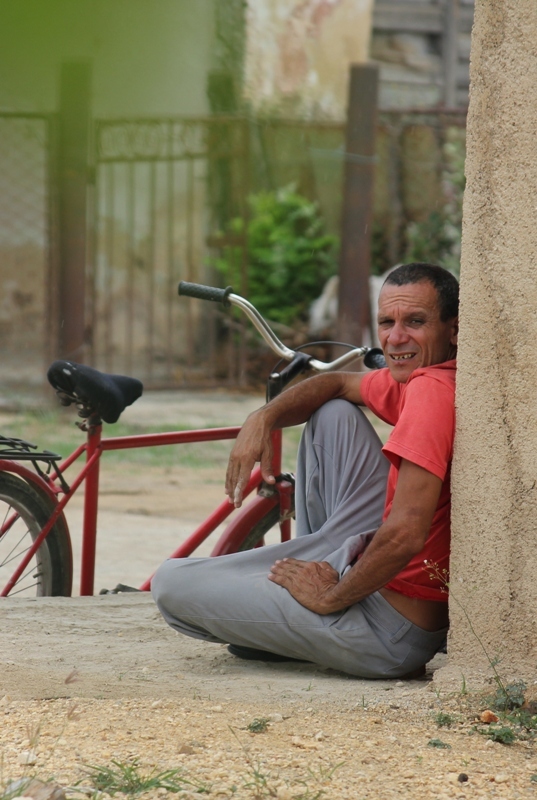 Before leaving Cuba I ran into my former neighbor, Manuel Martinez Crespo, jovial, quiet, almost shy boy, but now surrendered to the struggle for looking for a life and for a chance to be able to visit his daughters, living outside the country. 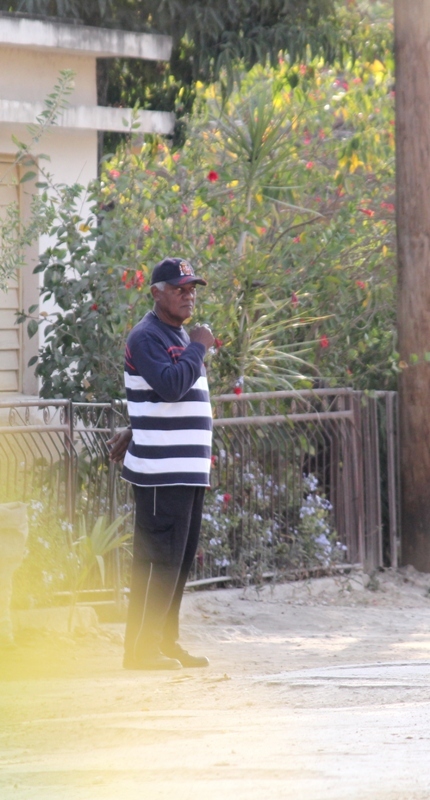 Mesa could be seen until recently outside the Calixto Garcia baseball stadium, looking for alcohol, women, or for the first business available to start the day. Some time ago, Ricardito Diaz drove a Soviet make car (a Moscovich) that he rented out to tourist to drive to any point of the province, but he keeps smiling, surly, also a bit stuck on alcohol, watching the shadows of his victories fade away. Years ago we saw an excellent documentary, Forgotten Glories, by Manuel Benito del Valle and Darsy Ferrer about several Olympic and world medalists who died or are still living in poverty on the island. Far from the applause, medals and awards given at the hands of Fidel Castro himself, Angel Herrera and Sixto Soria, just to mention two, wear the fate of any athlete retired to the provincial life. Before this reality stands the counterpart of those who remained outside Cuba, or those still inside who took the road of missions of sports collaboration as coaches, officials and technical staff who prepare athletes on some other continent. Mesa’s case is one among many, it’s enough to look around any city to see this glory who was now reselling sundries, renting their car from twenty years ago or crouched, waiting for the opportunity pick up the first coin of the day. Now that the Endless Poetry Festival has passed its first hours without any considerable and visible repression, I want to make my contribution to this urban tribe that has taken the streets for themselves. From Miami I read in front of a camera to insert our voices and faces among their and we were one, yet diverse. The photo you see with this post was taken in 2006 in the city of Holguin, the boys of Omni-Zona Franca were making an alternative tour of the provinces and one afternoon we went on a spree to see the oldest house in the city, made of adobe and straw, we sat on the ground in a park and counted cars and beautiful girls passing by. We read, we said many things, but the poetry that filled the air that day was an act of tolerance that continues today. Michael Hernandez was about to go live in Texas and never write poetry, somehow this is a funeral ceremony. Amaury, not looking at camera, seems to be entertaining some mischief just before being frozen forever in that image that united us for a second. 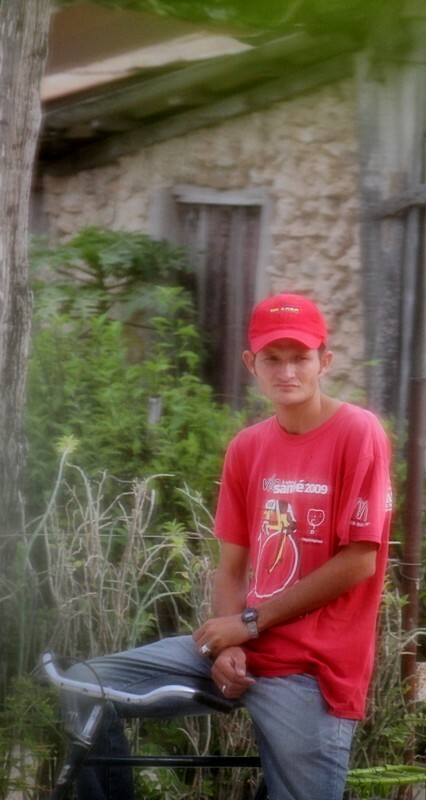 Individual with mental retardation, used as a member of the Rapid Response Brigades in San Germán, Holguín. Responsible: MININT Delegate Grognier Gallardo Parra. Lt. Yazmanis Suárez Ramírez, “Confrontation” official in San Germán, Holguín. Victor Zamora, unlicensed self-employed. Member of the Rapid Response Brigades in San Germán, Holguín. The television news shows the agony of the victims of Hurricane Sandy and the Culture Department of the Communist Party of Cuba (PCC) is determined to offer its parishioners some entertainment … a force of ridicule. The children’s theater company ’The Beehive’ even made it to the cities of Holguin and Banes and although they brought their stories, games and songs we still see those affected by the cyclone making miracles cooking on wood stoves, looking for something to eat for the day or stuck in long lines for the paperwork to get materials to repair their shattered homes. The popular pop duo Buena Fe (Good Faith) arrived in a Santiago de Cuba devastated by the October storm and now the scourge of the cholera epidemic and had no other remedy than escape, offered by a little music and the cheapest alcohol, and the enjoyment of a show that this time wouldn’t cost them a penny. But how much enjoyment is there in crowded conditions, destruction and despair? Democratic Cuban Directorate, Miami, December 3, 2012. In the city of Placetas Jorge Luis Garcia Perez “Antunez” reported that at noon he was traveling on his bicycle to his home, and at the intersection of South 5th Street at the corner of West 6th, a police car came behind him, toward the place where he was riding. On turning on his bike toward a street to the right, he followed his instinct for self-preservation, the cop car managed only to brush him from behind, and the police, visibly nervous, ask him for his identity card and detained him. “Looking back I realize that had this attack of the cop car against me taken place next to the little bridge there that I would have fallen and broken my neck, it would have killed me. This worries me greatly considering the number of threats that I am receiving from the police; the threats I received in Camagüey when I was arrested, they were going to kill me, they would not allow me to continue to promote activities in the streets. 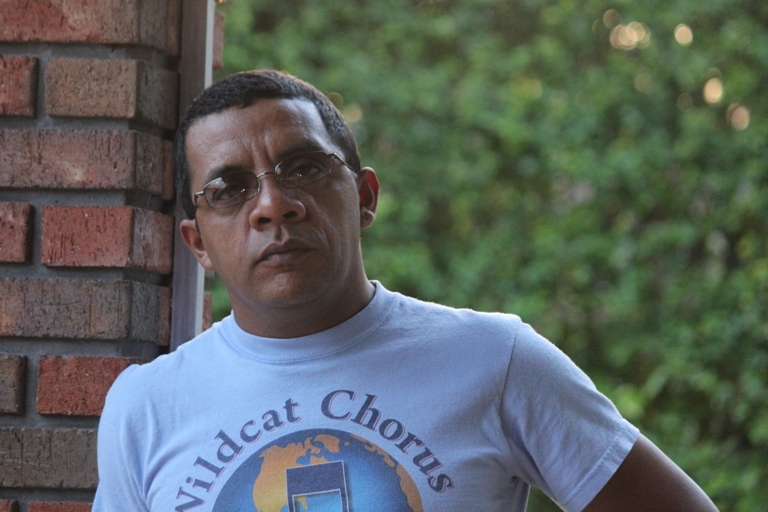 Death threats recently in the province of Holguín when I was arrested. 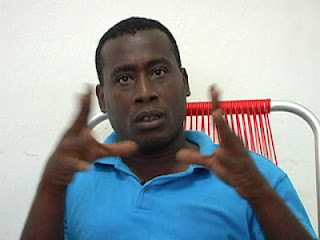 That hatred and that viciousness that the military doesn’t hide when they confront me,” complained Antunez. In just thirteen minutes of history human rights activists told how they were attacked by political police officers and men in plain clothes. The reason? Castro graffiti on the streets, and posters hanging from roofs. Without meaning to justify themselves, young dissidents explain how they have been surprised that when these signs appear they are held responsible for them and that they come from the increasingly discontented population of the whole country. 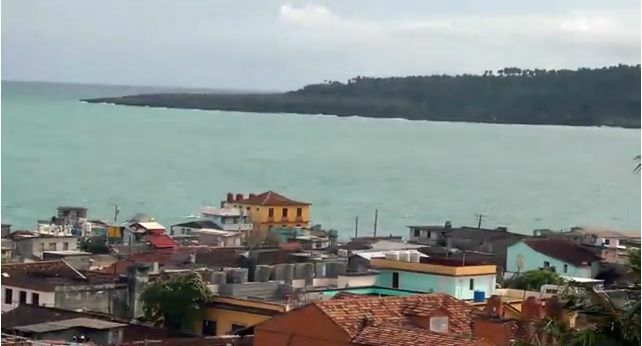 The independent visual experimentation group, Palenque Vision, of the Eastern Democratic Alliance, has released from the tangled Guantanamera geography a documentary produced by themselves and directed by Rolando Rodriguez Lobaina. 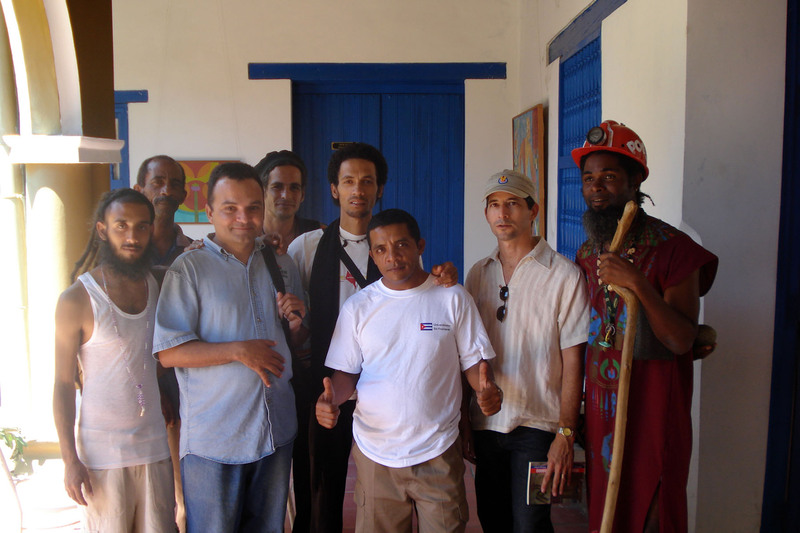 The material, entitled "For Cuba, Freedom", is supported by a simple narrative, without makeup, profusion of visual effects or complicated editing. This same group recently produced an amusing video shot with a hidden camera showing delegates to an assembly prior to municipal elections of the People’s Power in Baracoa, Guantanamo, last September, where the revolutionary leaders fall into a deep sleep to the rhythm of harangues. Right now the Cuban documentary is found in small viewings in intellectual circles, the few spaces for exhibitions and festivals, and the rich environment of everyday life underground. Alternative distribution routes are growing — from citizen to citizen — enriching the immediate reality. The proliferation of flash memory, the use and popularization of something as useful as the home DVD player, and the release by the Cuban government of patents for reproducing and selling audiovisual products on the part of the self-employed, have enlarged Cuban viewers’ opportunities over the last five years. The American television series that propaganda apparatus on the island do not allow to be releases, materials from Cuban athletes living abroad, telenovelas, historical films, action adventure (all produced by capitalists), go from house to house, in cutting edge technological devices or the almost obsolete CDs. Amid this avalanche also coming into homes are materials showing Cuban government repression or closeups denouncing the misery in which the country finds itself. The documentaries of Vision Palenque join the materials coming out of film schools and independent experimental groups, which have produced debates as such as Citizens’ Reasons and State of Sats (Estado de Sats) and reports such as those from Let’s Talk Press (Hablemos Press) and other independent news agencies . This is a good sign for the health of the Cuban documentary.